Agroam provides free marketing and trading tools for agricultural entrepreneurs. Find up-to-date market information, conduct trades, find business partners, and increase bottom line profit. Every day, billions of people wake up to till, irrigate, harvest, mill, transport, trade, package, and distribute food that they, and the rest of the world, will eventually consume. While investments into refrigeration technology, new grain hybrids, and miles of irrigation and warehousing have undoubtedly made the lives of countless people long and healthy, the recent food crises have shown that, fundamentally, the agricultural market has economic deficiencies that are not being addressed. Too many agricultural workers, from Egypt to Mexico, were unable to purchase reasonable meals from the profits of their labor during this price volatility. But the world changes quickly. Communications prices are falling and a coffee grower with a small plot of land in Ethiopia can now market his crop internationally to wherever it's most in demand. Factories can work out global supply chains to find competitive inputs, keeping prices low for consumers. Traders can find safe products from areas of the world they never had access to until recently. Agroam simply packages this together in an easy to use platform. 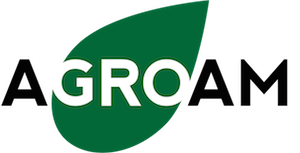 Agroam is an international team of agricultural economists, programmers, and business and financial experts at the disposal of the Agroam community to find simple, cost effective means to increase agricultural businesses revenues, while reducing volatility in prices to consumers. Everyone benefits.